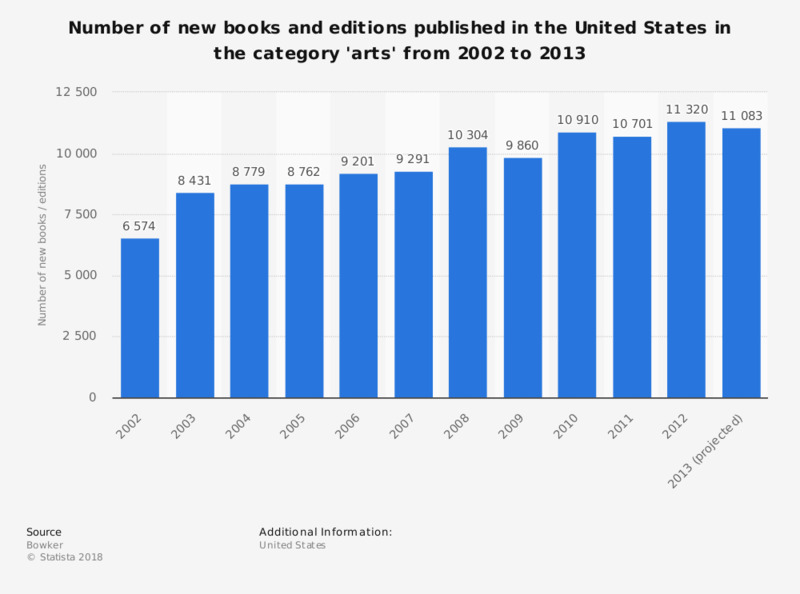 This statistic contains data on the U.S. book production in the category 'arts' from 2002 to 2013. In 2013, 11,083 books or editions covering arts-related topics were published, down from 11,320 a year earlier. Presented figures are compiled using the Bowker's Book In Print database. Did your publishing company sell e-books in the last year?